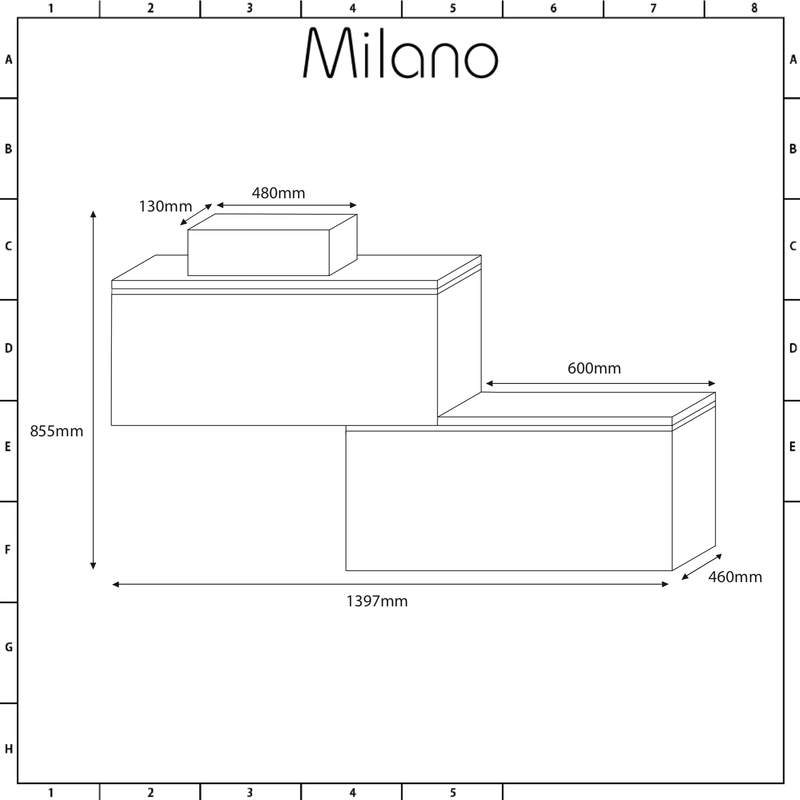 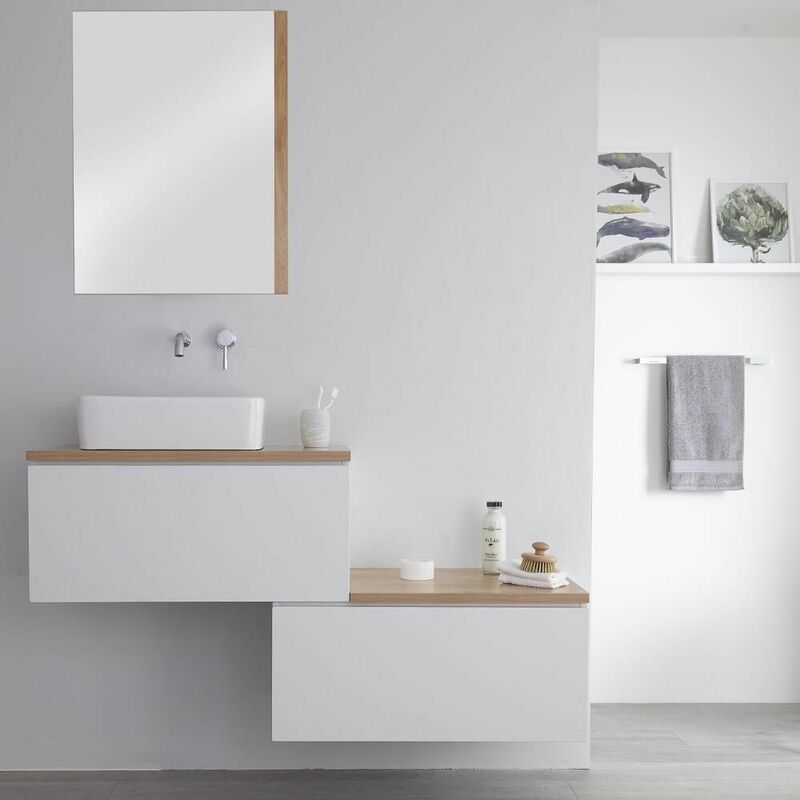 Create an eye-catching and modern look in your bathroom with the wall-mounted Milano Oxley 1400mm stepped vanity unit and basin. 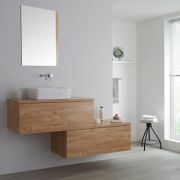 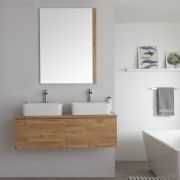 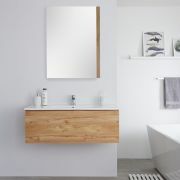 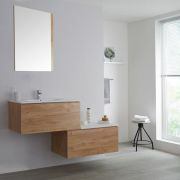 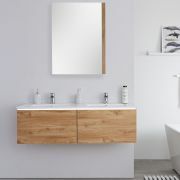 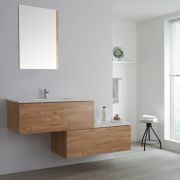 Made from moisture resistant engineered wood for strength and long-lasting durability, the Oxley vanity unit features complementary matt white and golden oak effect finishes for a stylish appearance. 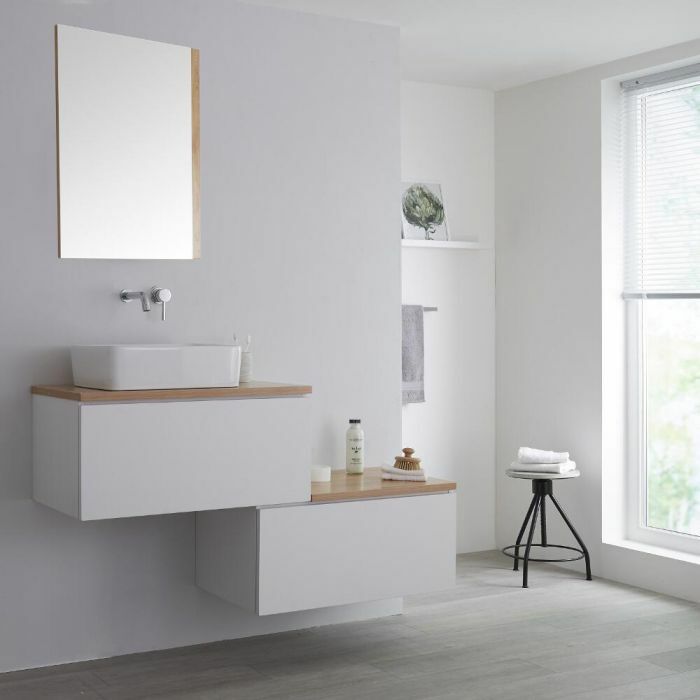 Two generous push to open soft close drawers offer unobtrusive storage of your bathroom products while an attractive countertop allows you to keep any essentials close to hand. 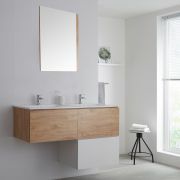 A high quality ceramic rectangular countertop basin, finished with an easy to clean white glaze, completes the look. 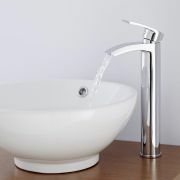 The basin doesn’t include a tap-hole, enabling you to personalise the final effect with a wall-mounted or high-rise tap from our range.